We’re in the closing days of the 2016 HELI cohort, enjoying every second! 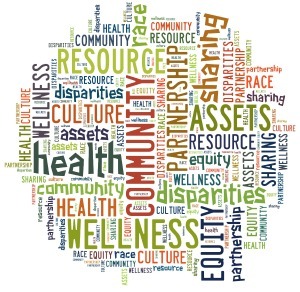 Are any of you using Facebook, Instagram and/or Snapchat in your health equity research – either to recruit and/or collect data and/or communicate with broader audiences (dissemination of research) – looking for some experienced individuals who might be willing to connect with 2016 Scholars who have questions on this…? Is anyone working with addressing health equity via use of ‘standardized patients’ when training future health care professions (medical students, nurses, etc…)? Please comment here or email us at cche@hslc.wisc.edu! Thank you to the HELI 2016 Scholars! I can help with #2. I’m about to start using MAXQDA for qualitative data analysis. I met with Christian Schmieder at UW-Extension who is very knowledgable about qualitative software and analysis. He provides presentations regarding the software (here’s one via SMPH: https://videos.med.wisc.edu/videos/53413). He demonstrated the capabilities of MAXQDA and it was incredibly powerful for analyzing data in several ways. In the SMPH video library, he also has videos about using NVIVO, Dedoose, MAXQDA, and Atlas.ti. Here is a qualitative data training resource at Emory University in Atlanta, Ga.
Hi All! I can comment on #2. NMRN is having a qualitative research webinar on Tuesday. I registered and encourage others to do so. Additionally, I am willing to talk with folks regarding courses I have taught focused on health disparities and qualitative methods. Great, thank you! Can you share the link to the Webinar you mentioned?